Bill and Norma Bruce, TD's for this tournament want to welcome you to the course and we hope you all have a great time here . 1. 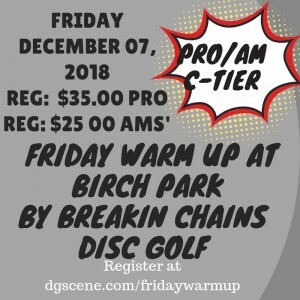 This is a Flex Start C-Tier PDGA Tournament , Flex start is exactly what it means. You can come play the course any time during the day from 8:00am until 2.:30pm. 2. Players will register or sign in for the tournament at the course. We will have someone on hand to handle registrations from 8:00am - 2:30pm during the day. It will be dark if you start later than that. 3. There will have to be at least 3 players on each card that goes out to play. Players can go out in mixed divisions .Try to have somone one to play the round with so you won't have to hang around to long. 4. Winners will be posted as soon as all players have finished and score cards have be added. Pros' will be paid out in cash and Amateurs will be paid out in Breakin Chains Store Merchandise Vouchers. Aces will be paid in cash. If no Ace is hit the cash will roll to the next Flex Start Tournament we run at any of the 4 Disc Golf Courses listed below. 5. Prizes will be able to be picked after last cards have come in, or you can pick them up any time at Breakin Chains . 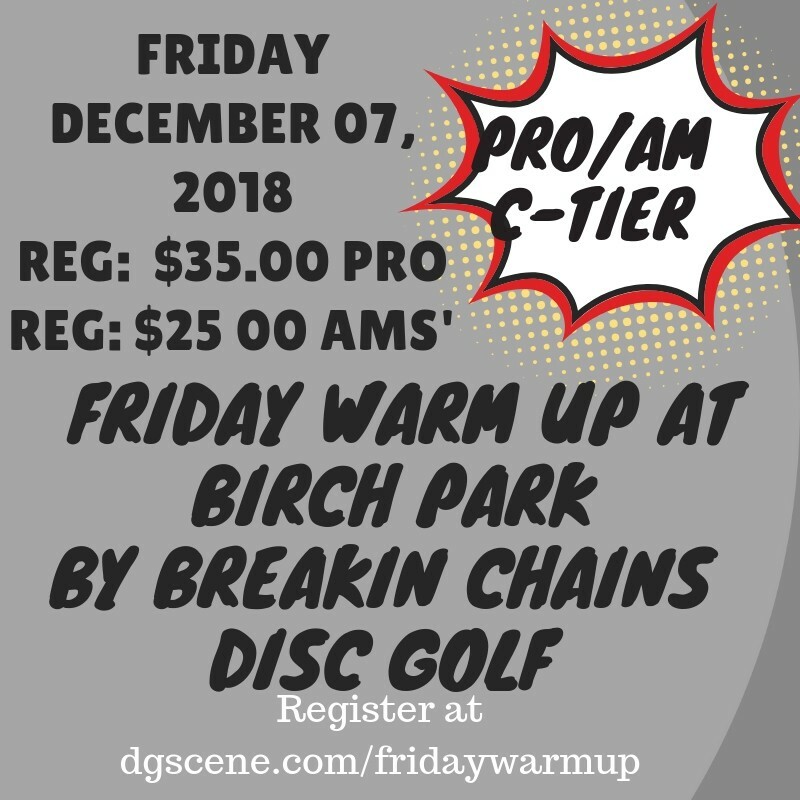 Thanks for coming to the Birch Park Complex for the complete disc golf experience.